Michael Gove recently caused somewhat of a furore with the announcement of his plans to remove American Literature from the GCSE English Literature syllabus, discarding John Steinbeck’s Of Mice and Men and Harper Lee’s To Kill a Mockingbird in favour of Austen and Dickens. One fellow English Literature student wailed, ‘Now kids will never know about Atticus Finch, and that is just wrong!’ Much as their melodramatic anguish made me laugh, I could neither refute that their point was valid nor that I was equally infuriated by Gove’s decision. That is not to say that Charles Dickens is anything short of an outstanding writer; one cannot deny his talent for storytelling or his astute capacity for social observation, just take Great Expectations as an example. However, as a student of English Literature at university level, I am probably more than a little biased. Far be it from me to suggest that the nation’s fourteen year olds should be confronted with books the size of doorsteps, and with an intricacy of language that is probably unlike anything they have ever heard. These young students are studying English Literature, not purely out of choice, but because it is a compulsory GCSE. As a generation obsessed with technology and the internet, they are probably more familiar with the 140 word character count of a Tweet than they are with the works of classic writers, much as we would no doubt like to imagine otherwise. However, the issue goes beyond the concern that the novels of Austen and Dickens are probably too daunting to begin with as far as inciting a passion for literature amongst the nation’s less well-read pupils is concerned. What caused so much controversy about Gove’s decision was the implication that the study of literature should somehow be limited to British works; this not only borders on arrogance, but sheer closed-mindedness. For many, the notion that the study of literature could be based on the nationality of the writer rather than the quality of the writing is inconceivable. In one year I have covered works from Swedish, Norwegian, Polish, and American writers alongside English ones; this has broadened my literary appreciation and interests, and has exposed me to a variety and quality of literature that I might not have otherwise encountered if the course were as narrow and constraining as Gove’s new curriculum. In some cases, I actually preferred the ‘foreign’ works to the native ones. Furthermore, the question of how one classifies English Literature is not straightforward. Kafka was Czech but wrote in German; Joseph Conrad came from a Polish background and Chinua Achebe was Nigerian but both men chose to write in English. Although his nationality was Norwegian, Ibsen spent most of his life in Italy and Germany. His provocative plays were predominantly discouraged in his home country; one might raise the question of why Norway should now lay claim to works that were not even written within its borders. Does this mean that such works should be categorised by the language in which they are written, or by their writer’s nationality? Surely it would be better to accept that all literature should be judged on its individual merit. Some would even suggest that it is impossible to fully understand and appreciate certain books without the knowledge of their foreign counterparts and influences. In his essay, ‘On Fairy Stories’, J.R.R. Tolkien writes, ‘the Cauldron of Story has always been boiling, and to it have continually been added new bits, dainty and undainty’. Writers are constantly borrowing from one another, spooning into the pages of their works ideas and themes from the ‘Cauldron’ and adding their own creativity to produce tales unique yet, in many ways, familiar. For example, the Swedish August Strindberg and American F. Scott Fitzgerald offer equally interesting portrayals of socially disparate relationships in Miss Julie and The Great Gatsby as in works by English authors such as D. H. Lawrence’s Lady Chatterley’s Lover and Ian McEwan’s Atonement. Similarly, it is difficult for one to fully comprehend and appreciate the scorn so prevalent in Dickens’ Great Expectations and Oliver Twist towards poverty and the nineteenth century judicial system without having perceived the criticism so equally evident in the French Victor Hugo’s Les Miserablés. Furthermore, the comparison of foreign and English texts aside, so many foreign works explore important themes, ideologies, and historical contexts which British schoolchildren might not otherwise discover. 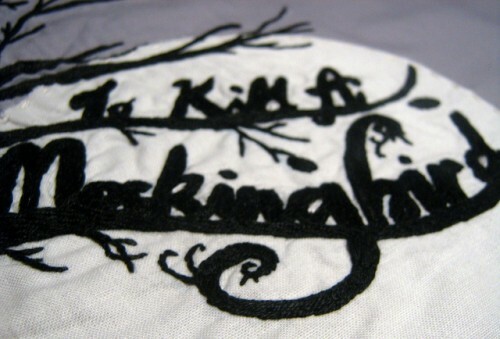 To Kill a Mockingbird, for example, contains important messages about tolerance and racism, and is a crucial gateway to the author’s experiences of racial injustice and the Great Depression in America – neither of which were ever quite as integral to the makeup of contemporary British society, but should, nonetheless, remain in the public consciousness. I will conclude by quoting Toni Morrison, who shares the view that there should not be any ‘nationalistic categories’ in literature, an attitude that Gove may come to accept once the consequences of these reforms become clear. Morrison relates how she ‘used to see in bookstores in the States they had “mysteries” over here and something else over here, and then they had “women’s literature” and “black literature”. To some of them I said, “Wait a minute, can’t I just be alphabetised?”’ It seems that in expending energy categorising classic literature we hinder our own knowledge of a collective global literature.